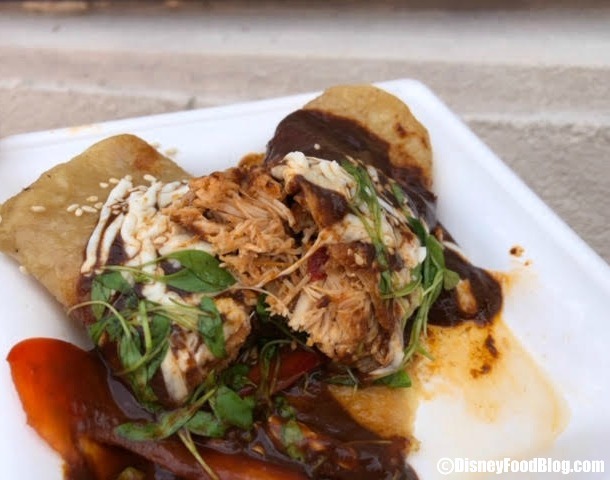 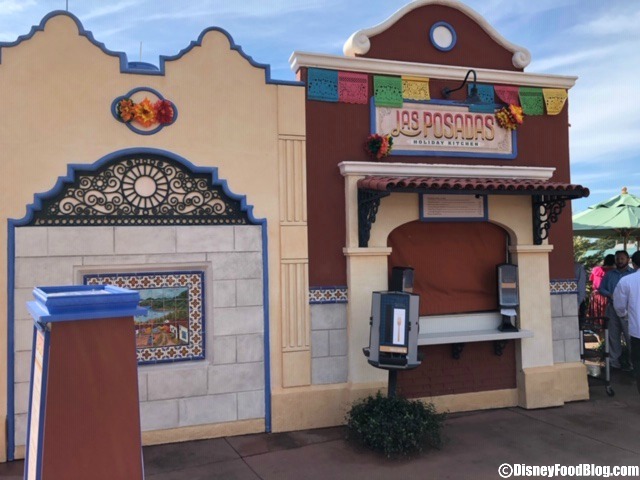 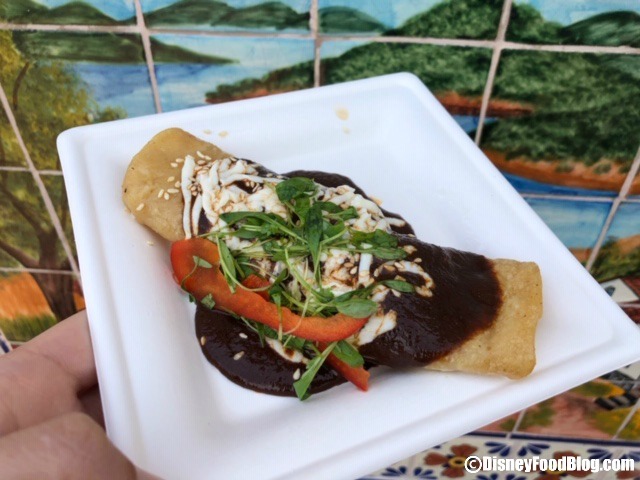 This Holiday Kitchen, located in the Mexico Pavilion, is serving festive Mexican cuisine. 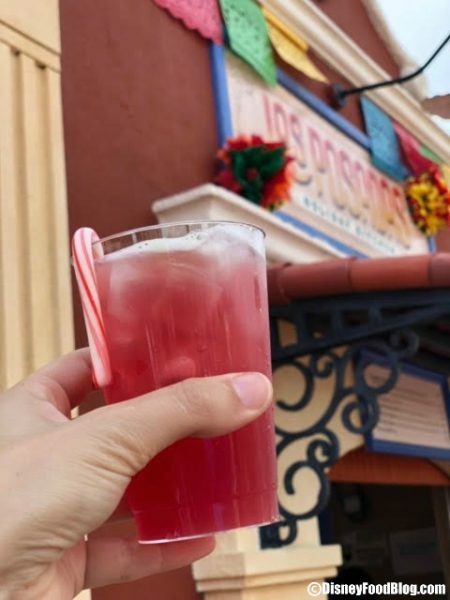 Feliz Navidad! 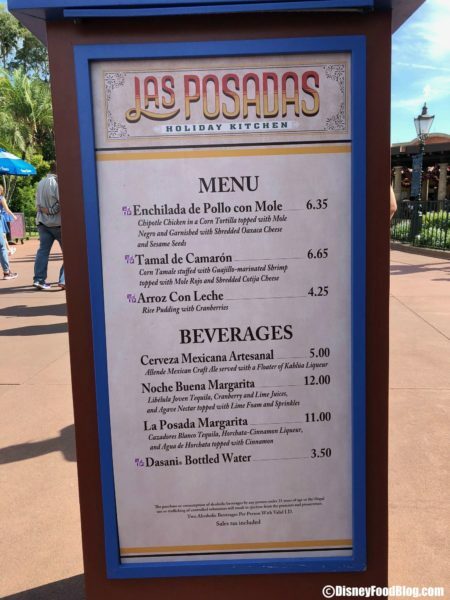 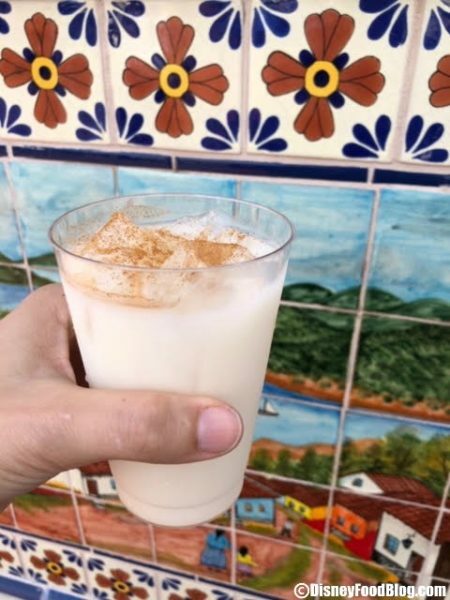 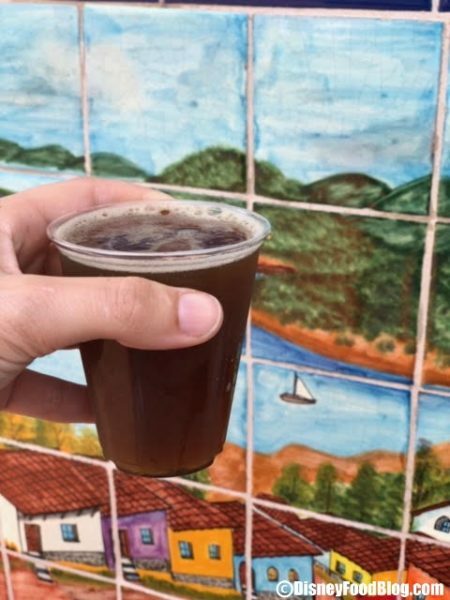 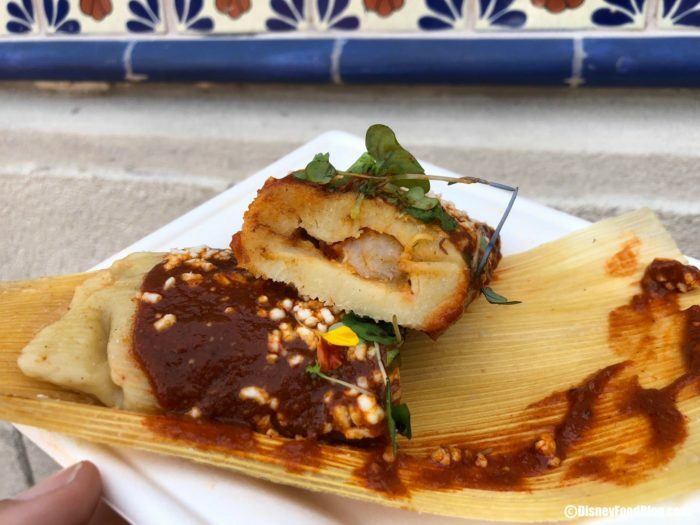 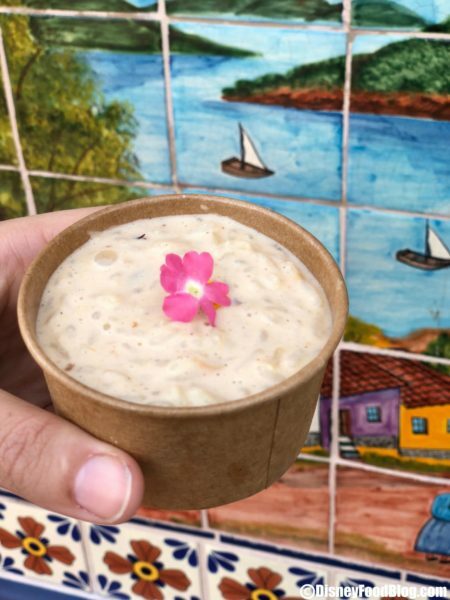 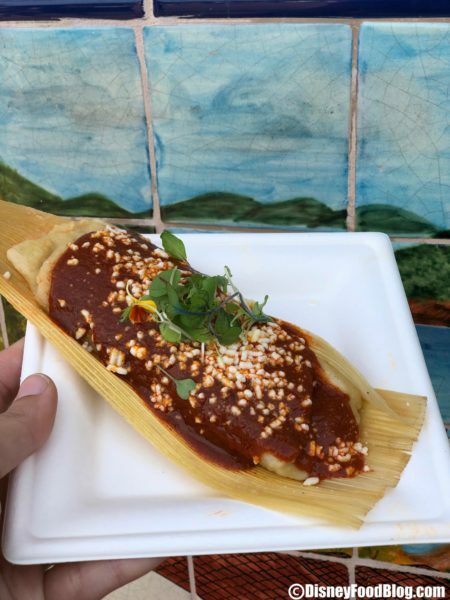 DFB’s favorite 2018 Las Posadas Food Booth item is the Enchilada de Pollo con Mole and the La Posada Margarita!